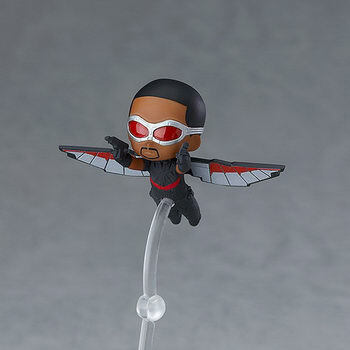 February 13th, 2019 By: GGT Category: 2019/07 release, Figure News. 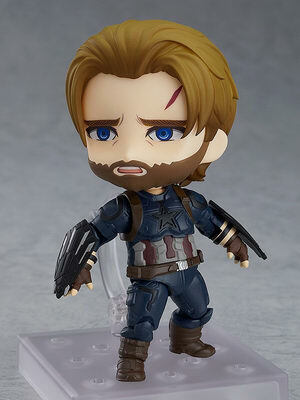 Good Smile Company is going to release the Nendoroid More Captain America Extension Set ( キャプテン・アメリカ エクステンションセット ) from the Movie “Avengers: Infinity War” ( アベンジャーズ／インフィニティ・ウォー ). Will be released in July 2019, 2,685 yen. New optional parts for Captain America from "Avengers: Infinity War"
A new optional parts set for Captain America from "Avengers: Infinity War". 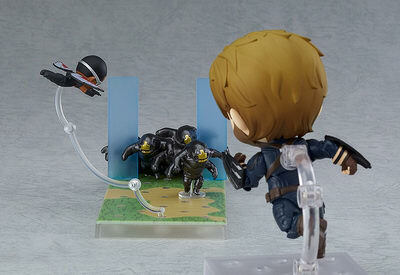 A Wakanda-themed base and parts to recreate a vignette of the Outriders pouring through the gap in the shield at the Battle of Wakanda are included. A single Outrider part is included as well. 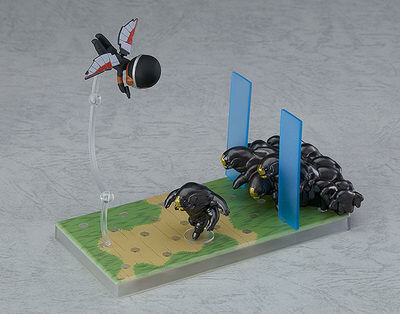 A miniature sized Falcon is also included and can be attached to the base using a special suport arm. 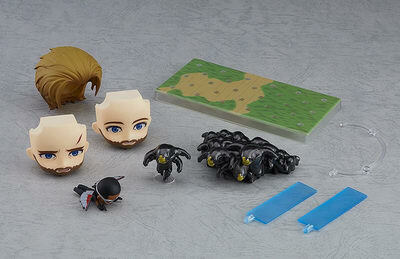 Special hair parts are also included to recreate daytime scenes, along with a smiling face plate and wounded face plate. 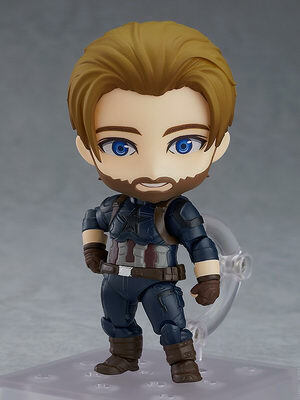 Be sure to purchase this set to display with your Nendoroid Captain America: Infinity Edition! 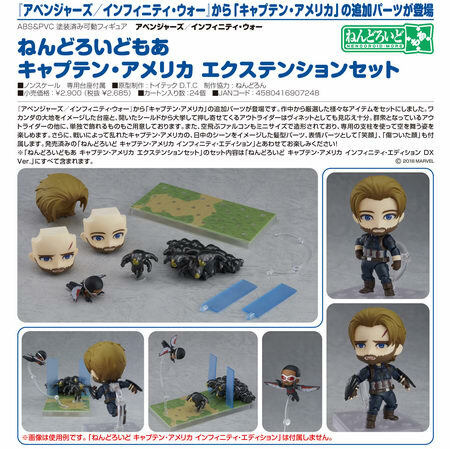 *Everything included in the Nendoroid More: Captain America Extension Set is included with Nendoroid Captain America: Infinity Edition DX Ver.